The holidays are quickly approaching. Have you started thinking about all the fun things you want to do this holiday season? I know the list of holiday activities and events as already started growing for me. This time of year promises fun and family… but it also opens the door to stress. Downsizing the things that trigger stress before the holidays hit is one great way to make sure everyone (including you) get to enjoy this wonderful season. 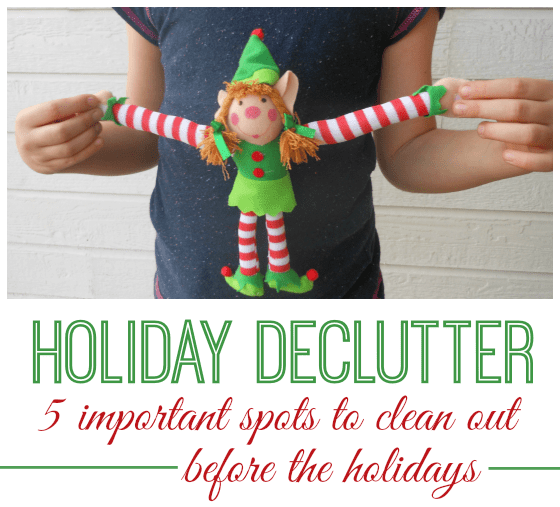 Since clutter is one of my biggest causes for stress, I’ve teamed up with Fellowes to introduce the Fellowes 79Ci Shredder and to share some of my favorite tips for decluttering before the holidays. Toys. It will not be long before more toys will be making their way into the house in large quantities. Now is the time to get rid of the things that don’t need to be taking up space anymore. The added bonus is that the kids are very likely to get on board with making room for the new! Pick a weekend to do a massive toy clean out. Involve the kids by letting them choose what stays and what goes. Talk about how much they enjoyed the old toys and get excited about what might soon fill the empty space! Kitchen. Mmmm…. Thanksgiving and Christmas goodies are on their way. The delicious smells of freshly baked treats and beautiful sounds family gathered in kitchen. Even though the guests may not see what’s hiding in the drawers… knowing that they are organized will help you relax a bit. Take some time now to rearrange your cabinets and drawers a bit. Get rid of anything that you haven’t used or that you know you won’t use again. Find easy to access spots for all of the holiday dishes and baking tools you’ll need over the next couple of months. Papers. Speaking of behind the scenes places that make a big difference. You know all of those papers you’ve been collecting since school started? School notes, bills and homework sheets. How great would it feel to have all of that cleaned out before the holidays? This year I’m taking a different approach. I will have bags ready as I’m pulling things out. Anything that isn’t going to make the cut for decorating this year will get tossed into a donation bag instead of waiting to be repacked. The Calendar. Does this one surprise you? It shouldn’t. The holidays bring a lot of extras. Extra stuff and extra events. Time is a valuable thing… especially if you want to keep this time of year as stress free as possible. Go through your calendar now, what can you get rid of or move? Any appointments that might be able to wait until January? Do you have reoccurring commitments that could take a month off? 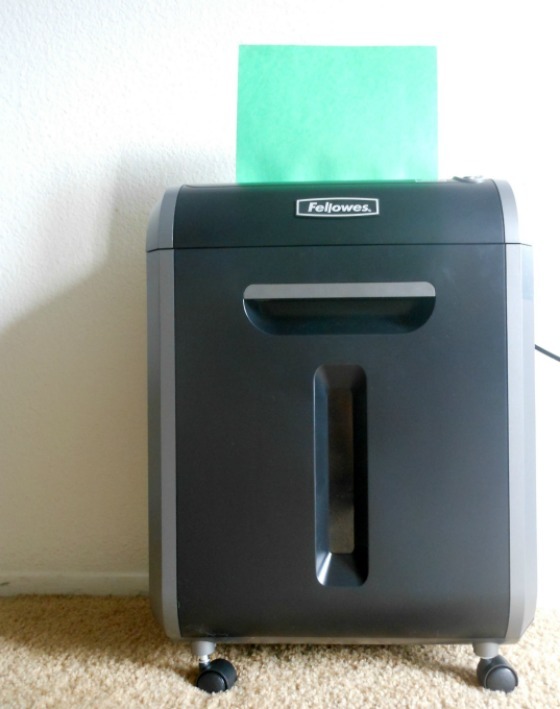 Patented SafeSense® Technology which automatically stops shredding when hands touch the paper opening. The 79Ci is available at Amazon and Office Superstores with a suggested retail price of $239.99. An extended 20 minute run time for increased productivity. Visit Fellowes.com for more information. 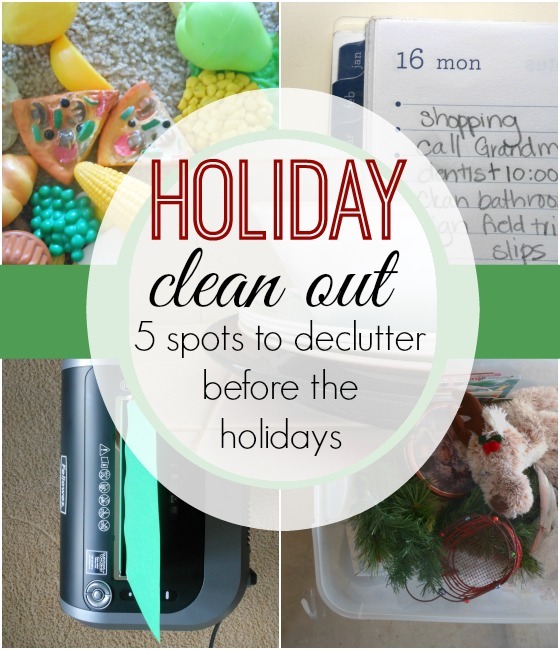 Do you have a favorite way to declutter before the holidays? Tell us about it in the comments.